Mental illnesses are “real” and not just a state of mind that most people can just “get over”. Drug companies invent mental illnesses to sell more drugs. I believed and do believe both these things at the same time. Am I guilty of doublethink? I certainly thought so when I first realized I held them. On Wednesday at the corner of Wilcocks Ave. and St. George St., a car appeared to be confused as to whether it was playing red light/green light or baseball. At first, it stopped at the red light. Then it slowly crept forward a few centimetres as if stealing a base before stopping again, repeating the process as if to say, “Ha ha, Red-light Camera! If I go slowly enough, you can’t see me!” It was about half way through the intersection when the light for its direction turned green and it was clear to go. VROOOM. I’ve spent numerous summers abroad and missed Canada Day (July 1st) probably close to a dozen times. However, this year I felt particularly unpatriotic despite singing O Canada in the Union Oyster House with some random Canadians from Kingston who were in Boston for the weekend. However, after spending a few days in Boston as a tourist, I couldn’t help but become ensconced in feelings of American patriotism, feeling proud of America and its accomplishments, and a deep sympathy for its fallen heros. Part of a memorial for those killed in action in the wars in Afghanistan and Iraq. 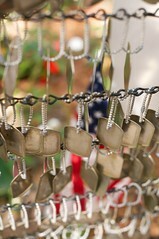 The memorial has one blank dog tag for each fallen American. They numbered 5400 when I visited.